Finger Lakes Pet Resort is an award-winning home-away-from-home for your four-legged family members. 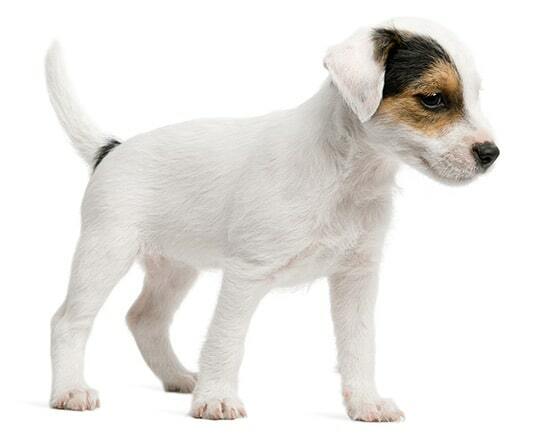 We offer quality dog & cat boarding, doggie daycare, grooming, and training in our state-of-the-art facility. We’re all about happy pets—and happy pet parents, too! Free First Night subject to availability and cannot be combined with any other offers. Lodging offer applies to first-time customers only and is applicable for any lodging accommodation selected. 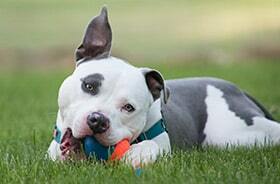 The all-suite dog boarding at Finger Lakes Pet Resort is like a 5-star resort for your pet. We make every canine guest feel like part of our family. Luxurious accommodations and loving caregivers ensure every dog enjoys the comfort & love they deserve while away from home. At Finger Lakes Pet Resort, we understand the unique preferences of cats. Our feline friends lodge in comfort & privacy, with just the right amount of human attention. 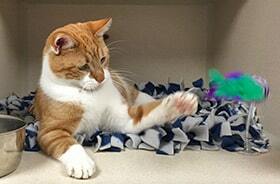 We’ll happily provide your cat with oodles of stimulation and special attention. Call us for more information! 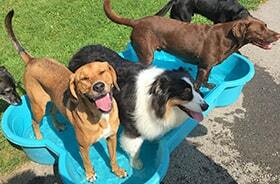 The daycare program at Finger Lakes Pet Resort provides all the fun, exercise, and socialization dogs need to thrive. Between our spacious, grassy yards and 4 indoor play areas, we’ll keep your dog physically & mentally engaged under the care of our attentive staff. 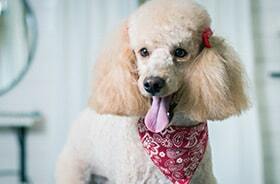 Our award-winning grooming salon keeps your pets healthy & handsome. From luxury baths to full-service styling, we’ll send your pup home pampered and ready for extra hugs and kisses! Give us a call to schedule an appointment with one of our professional groomers. © 2019 Finger Lakes Pet Resort. All Rights Reserved.